How to Stay Fit Over Christmas? There’s only one thing worse than getting socks for Christmas – losing all of your hard work done in the gym. Indeed, the hardest thing is not losing weight during the Christmas holidays. Here are 7 steps to avoid this shocking situation and survive the silly season. Surprised? This is a proven fact! When you eat something small and healthy before going out, for instance, a piece of fruit or salad, you’re less likely to overindulge at your holiday parties, rather than showing up ravenous and eating everything in sight. This way, you’ll be able to eat healthier and what’s more important – by your own choice. Don’t quit just because it’s Christmas. This is a perfect time to mix things up and challenge your body in different ways. Go to a gym or just for a walk every morning, climb a mountain, take the kids to the park, break up your beach time with a quick soft sand sprint session. Doing this you’ll get rid of the mindset that you always gain weight every Christmas. The hardest part of this is the beginning, the rest will come itself. When you’re out of your normal routine it’s easy to forget about filling up your water bottle and staying hydrated. This can satiate your appetite making you eat less food. Just remember to drink at least two liters of water each day as this can also be another reason why you’re not losing weight. Keep things interesting by adding a squeeze of lemon/lime or chopped up pieces of your favorite fruits. Finally, it also helps to prevent a possible hangover if you overdo it with alcohol. Avoid a calorie hangover on Christmas! Cut excessive consumption of wine, beer, champagne, and sugar-laden cocktails, and what’s even worse – mixing all of this. According to various studies, numerous party-goers could consume an extra 4000 calories on alcohol in the lead up to Christmas alone. To avoid this situation, you can stick to vodka, soda, and lime as they have a little impact on your health. When singers like Mariah Carey want to shed a few pounds for a red carpet event, nothing but purple food passes their lips. You can eat more of purple asparagus, purple potatoes, and other vegs to stay fit. 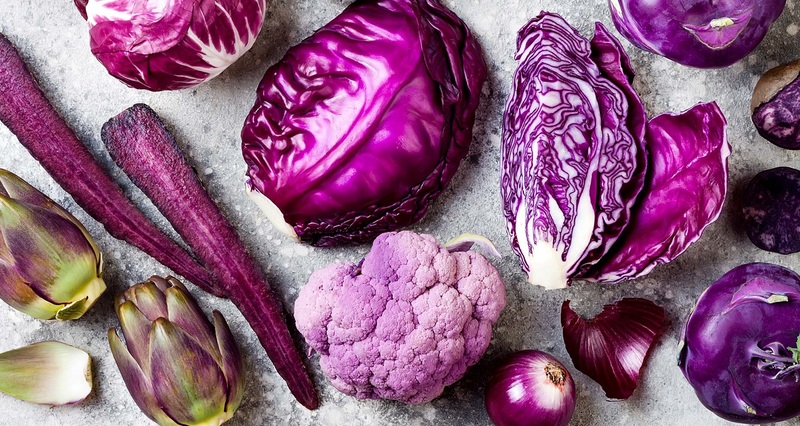 Generally, purple fruit and vegetables contain a powerful anti-oxidant, called anthocyanin. Except keeping your body fit, these vegs also have other numerous health benefits from protecting your heart to reducing the risk of cancer. It’s not a secret that a lack of sleep can lead to bad food choices and canceled workout plans. Moreover, too much sleepless nights that can lead to hormone imbalances, a messed up metabolism and even weight gain. Want to stay fit and lose weight? Do the right thing for your mental and physical health during the holidays and sleep at least 7-9 hours a day. Portion size is very important when it comes to tackling weight issues. First of all, you should choose a smaller plate. Why? The answer is simple – it will trick your mind into thinking you’re eating more than you are or more than usual. This little trick can help you feel fuller sooner so you’ll be able to stop at the right time. Next, keep in mind to eat slowly and chew your food. This will give your brain time to catch up to the sensation of feeling full, which means you’ll be less likely to overeat. However, don’t punish yourself by completely cutting out your favorite food and drinks during the holidays. It’s Christmas after all, try to celebrate and enjoy yourself as much as you can, just remember that everything’s fine in wise portions. James Baker - A blogger, style, health and fitness enthusiast at the www.GurusWay.com. Passionate about life, he studies and writes also about men’s and women’s style, lifestyle various topics, family, relationships and increasing the quality of life.